You might think that two Wild and Crazy guys brewing beer in Belgium is something that happens every day. You’d be right about that. But when the two guys are Chase Healey of Prairie Artisan Ales (one of the hottest US breweries in 2013) and Mikkel Borg Bjergsø (the Godfather of Gypsy Brewers himself), well now that is something that definitely does not happen every day. Bonding over their love mutual of American West Coast hops and Brettanomyces, the American and the Dane met up at De Proefbrouwerij in Lochristi, Belgium. De Proef has been referred to as the Willy Wonka Beer Factory by at least one American brewer. The amazing place is run by a meticulous brewer/scientist named Dirk Naudts. Dirk doesn’t just make beer though. 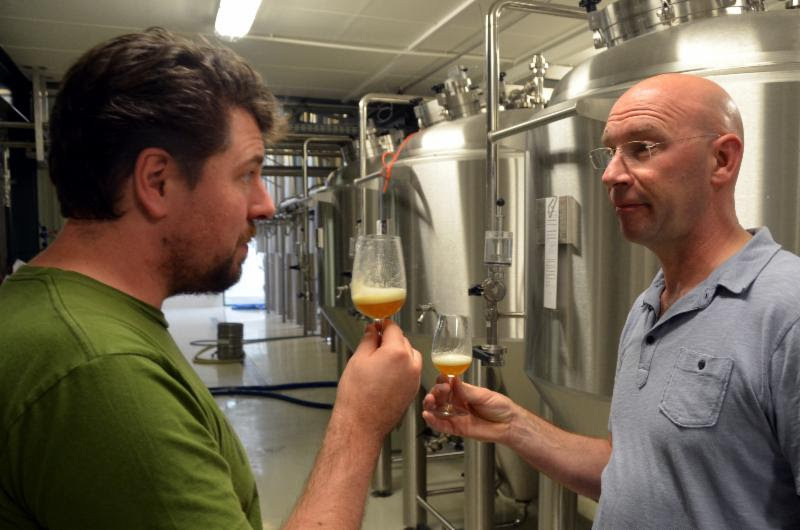 He does all sorts of research on hops and yeast, so De Proefbrouwerij was the perfect place for these two international brewing stars to meet and make a hella hoppy IPA with Brettanomyces. We were not able to be there for the brewing, but were lucky enough to visit just a week or so later. After touring the brew house and spending some time having our minds blown by all the research on hops going on in the laboratory, Dirk wanted us to taste some beers. Great idea! We had already moved from talk of mapping the humulus lupulus genome to discussions about Dirk’s research into yeast, especially the aromatic compounds. The first beer Dirk wanted us to taste was one that was still fermenting and quite cloudy, but showed some wonderful tropical characteristics resulting from the special strain of Brettanomyces used for fermentation. The beer was also incredibly hoppy and quite dry. Dirk told us it was dry hopped with Citra. The result was something we would have been happy drinking all afternoon, if not for the couple dozen other beers Dirk wanted us to taste from other fermenters, bottles, and barrels we probably would have done so. 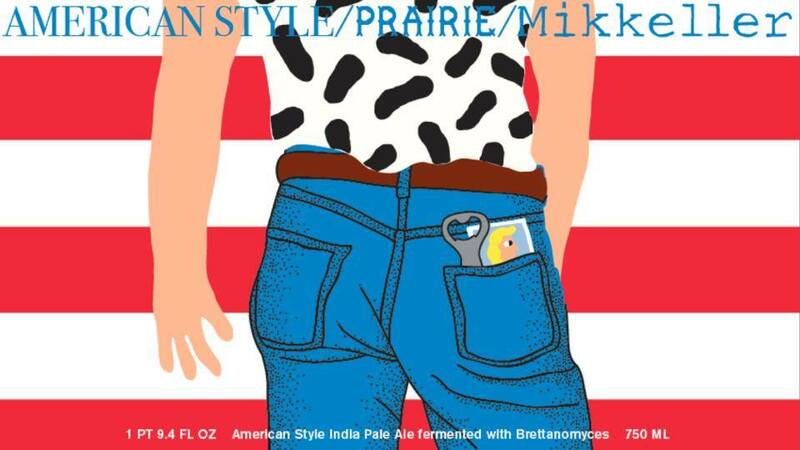 American Style was the perfect start to the amazing journey that day, and now it is here for all fans of Mikkeller and Prairie Artisan Ales. Our own Matt Dinges getting his first taste of American Style with Dirk Naudts.